A guest post by my writer friend, Connie Almony! 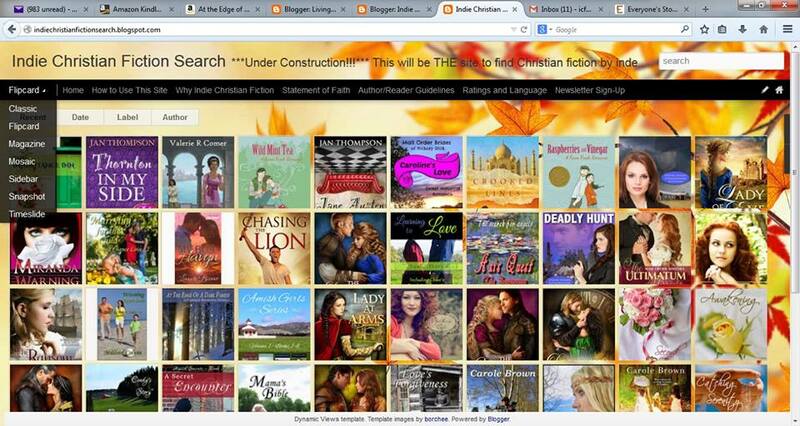 Indie Christian Fiction Search—“Ickfuss (ICFS) to its friends—is THE site to find affordable Christian fiction by independent authors. Check it out. Read the “How to” page. Play with the views and try some search criteria. Watch what happens. Hee hee! This entry was posted in Of Books and Writing and tagged ICFS, independent authors, Indie Christian Fiction Search, indie publishing. Thanks for sharing this, Lora!!!! !